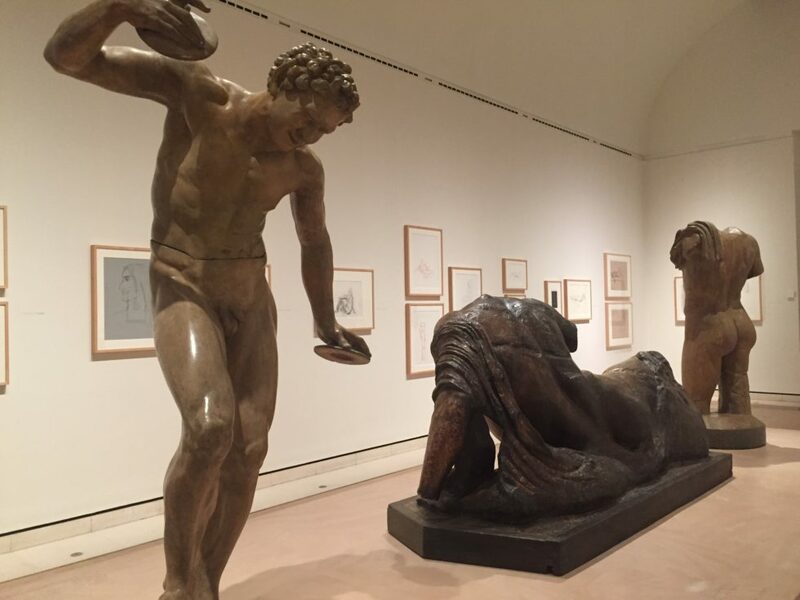 The Royal Academy’s latest exhibition, From Life, looks at the role of life drawing as a training method for artists, tracing the practice from its invention during the Renaissance to the influence of life drawing in the work of contemporary artists. While we may have all heard about life drawing classes, this method of training goes in and out of fashion. In the 1980s, Goldsmiths art school banned life drawing – the life studio can even be seen as a political space. This is a rather small but interesting exhibition in the Academy’s Sackler Wing, perfect for popping in after work before meeting a friend for supper. Despite the exhibition’s modest size, it boasts an impressive set of work by artists including Lucien Freud, Jeremy Deller and Gillian Wearing. Deller’s work comprises of a life drawing class with none other than the rock star Iggy Pop – and the sketches produced during the class are displayed here. Iggy Pop is a fascinating subject, especially given how his body has aged in public. As the Royal Academy is about the celebrate it’s 250th anniversary, there’s going to be a lot going on this year! This exhibition is a modest start to the anniversary celebrations but is must-see for visual arts enthusiasts. We can’t wait to see what else the Royal Academy has on offer in 2018.